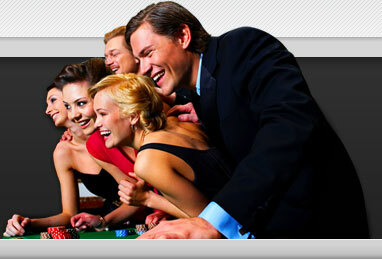 Casino.com is reliable, easy-to-use with over 100 impressive and state-of-the-art graphics. There are enough games for all types of players, including 30 Progressive Jackpots, Video Slots, Arcade games and Video Poker. Casino.com offers the best whether it's a game of roulette, table games or slots! Casino.com is proud to provide such a vast range of games. Participate in the Live Dealer games for that authentic casino experience and benefit from the frequently updated Bonuses and Promotions. Choose to play alone on one of the slots or test your skills against other players. Casino.com is available in many different languages, currencies, and available in over 30 countries. Casino.com offers a Loyalty reward programme, The Loyalty Lounge. As points accumulate, the player moves up the Lounge Levels. The higher up, the higher the rewards. The knowledgeable team of professionals is ready to assist 24 hours a day, 7 days a week by Live Chat, Phone and E-mail. 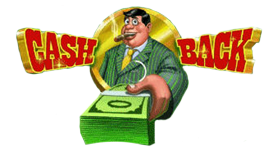 Mr Cash Back - The term Cash back is what all online casino players love to hear, therefore the leading software provider, Playtech have launched this brand new slot game called Mr Cash back, slot game from Casino.com. Read the full review of Mr Cash Back Slot. Casino.com takes security very seriously; they will request players to provide proof of identity before their first withdrawal is processed. Receive a massive Welcome Bonus of up to $/£3 200! Some of the most popular games include licensed MGM movie slots like Kong, Rocky or the Marvel Comics slots such as Fantastic Four, Iron Man, The Incredible Hulk and X-Men. The casino also offers Table games including Roulette, Baccarat, different versions of Blackjack, Craps, Caribbean Stud, Casino Hold'em, Pai Gow Poker and many more. Casino.com is operated by ONISAC Ltd under a license issued by the Gibraltar Licensing Authority.